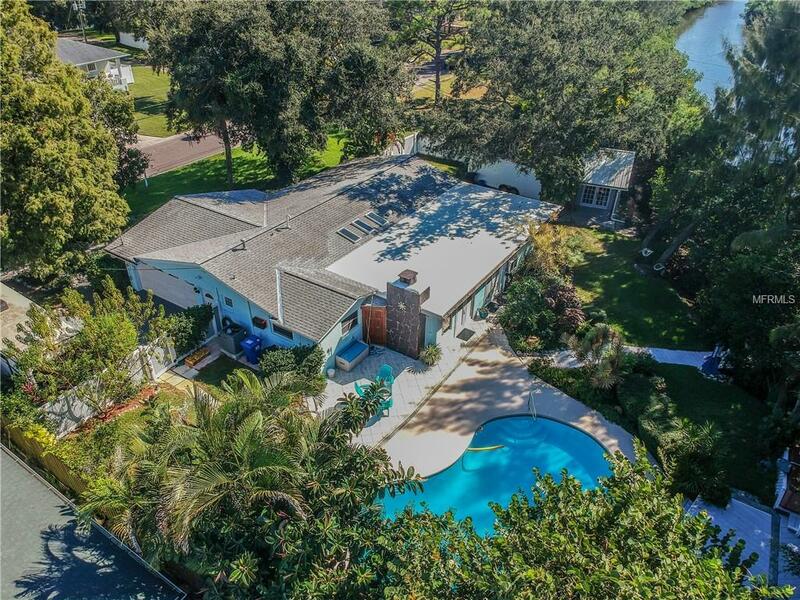 Welcome to Shangri-la in the city on canal w/ocean access thru Riviera Bay! 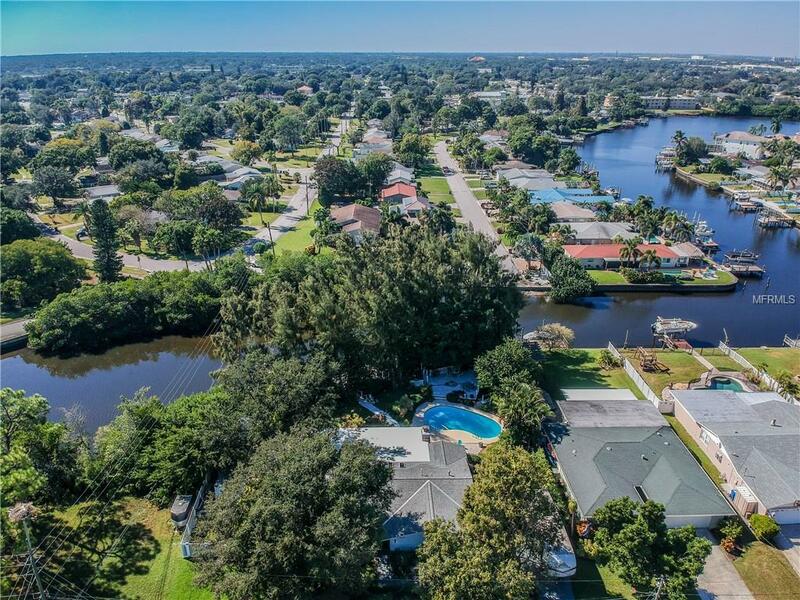 2,093 sq ft, 4/2/2 home located in NE St Pete has everything you could want! A beautifully manicured lawn w/mature landscaping & field stone pathway greet you to this luxurious paradise on a double lot. Step into the foyer where you will find a coat closet & new hardwood flooring that flows thru the living room. Updated kitchen features a gas range w/2 ovens/1 convection, granite counters, 3 skylights & tile flooring that continues into the family room which is an entertainer's dream! A bar with stone embellishment matching the coordinating fieldstone fireplace & exposed wood beams w/rustic hardware makes this the perfect space for gathering plus room for a pool table! Split floor plan has 3 secondary bedrooms on the south side. The renovated bathroom has custom vanity & cabinets, soaking tub & separate walk-in shower. Master suite has 2 walk-in closets, new glass shower door & modern vessel in bath. 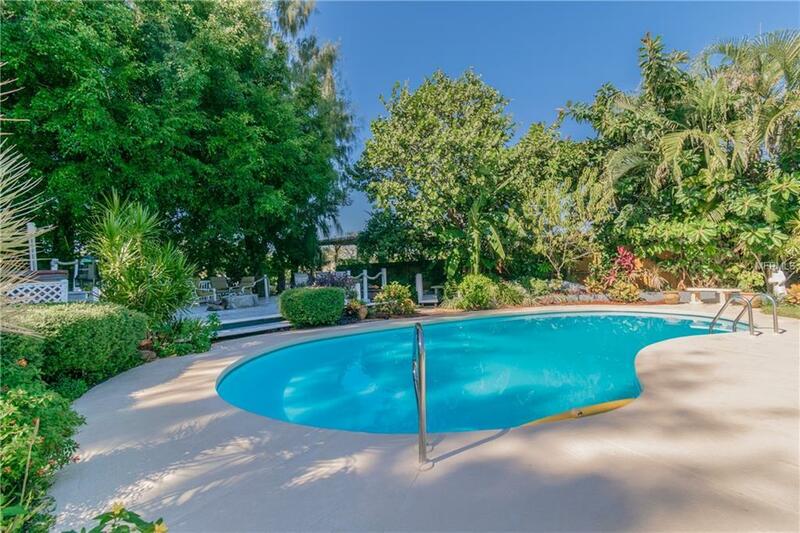 The backyard is a masterpiece of extensive landscaping, 6,000 gallon Koi pond w/2 waterfalls & 7 cascades, gleaming pool, 32 jet spa & room for boat or RV parking all contained w/vinyl fencing and a 10' dbl gate. 2 car attached garage has instant hot water heater, laundry area & utility sink. A composite dock lets you view wildlife incl. manatees & dolphins, w/room for a boat lift w/davits & jet ski! The "Sharage"(shed/garage) w/electric is a great workshop w/metal roof, AC hookup & more. 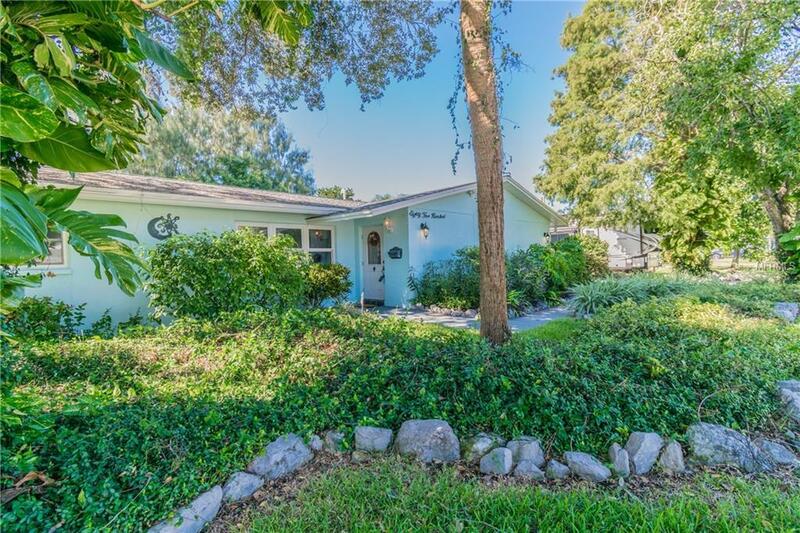 Easy access to Downtown or Tampa!